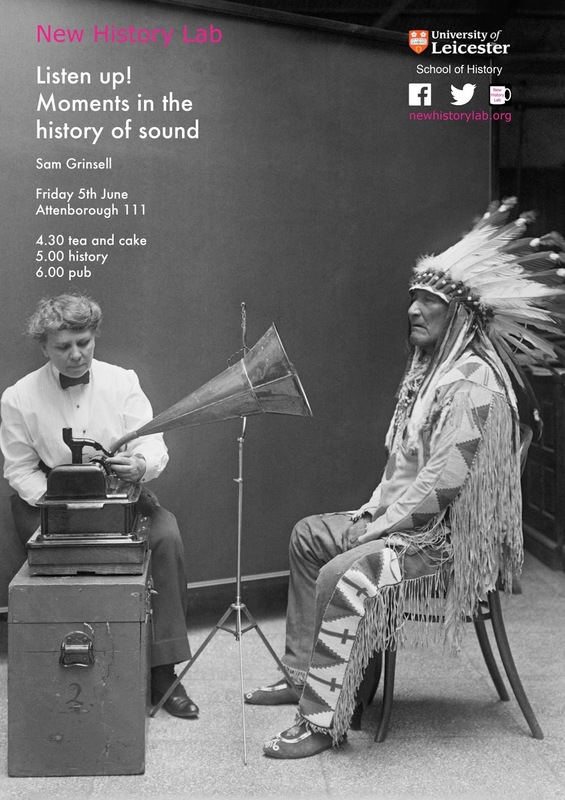 This Friday, our very own Sam Grinsell will be presenting on the history of sound. Currently an MA student with the Centre for Urban History, Sam has been responsible for designing almost all of the lab's posters over the past few years (including the above). Please join us at 4:30 for tea, cake, and history!